Gazprom’s report from the first half of 2012 disclosed the registration of two trademarks in Mexico: the Gazprom logo and its company name. 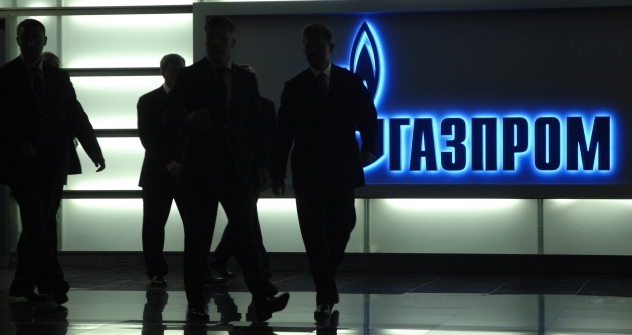 According to a source at Gazprom, they were registered under seven classes of activity relevant to the company. Alexei Tuleninov, a patent attorney with the Industrial Property Company, noted that, according to global practice, trademarks can be registered for up to 10 years. The report also lists other certificates obtained by Gazprom during the first six months of this year, but they have all been registered in countries where the Russian gas monopoly already operates, including Israel, Latvia, Lithuania, Iran and India. So far, Gazprom has no production-related projects in Mexico and the trademarks have been registered “for future use,” according to a source at the company. Gazprom has been interested in the Mexican market since 2005. At that time, Gazprom CEO Alexei Miller began negotiations with state-owned Petróleos Mexicanos (Pemex) over supplying Russian LNG to Mexico for subsequent transportation to the United States. At about the same time, the parties started discussing cooperation in developing the gas infrastructure in Mexico and on joint exploration and development of Mexican gas fields, including offshore deposits in the Gulf of Mexico. Currently, Gazprom Global LNG holds long-term rights to use regasification and transport facilities at the Costa Azul terminal on Mexico’s west coast. In 2009, Miller discussed LNG supplies, with Mexican Energy Minister Georgina Kessel Martínez and Mexico’s Ambassador to Russia Alfredo Pérez Bravo as part of the Sakhalin-2 project and expressed an interest in energy cooperation between Pemex and Gazprom. In June, Mexican Economy Minister Bruno Ferrari told RIA Novosti that in the very near future, Mexico might carry out a far-reaching reform of its energy sector by inviting private capital into this sector. Ferrari added that Gazprom was interested in discussing with Mexican partners opportunities for gas supplies to Mexico and for building natural gas-fired electric power generation capacity there. Mexico’s proven gas reserves have been dwindling over the last 10 years. Between 2001 and 2011, they shrank by half, to 400 bcm. After growing for several years, gas production fell to 52.5 bcm last year. Meanwhile, gas consumption rose by 26.8 bcm during the decade to reach 68.9 bcm last year, which means that Mexico’s gas consumption has been outstripping its local production for a number of years. The difference has been covered by gas imports from the United States and several other countries, but in recent years, Mexico has increased LNG imports and is eager to develop this area, according to Valery Nesterov, an analyst with Troika Dialog Investment Company. This is why it is important for Gazprom to gain access to the Mexican market. “The company is striving to gain a customer base and a business reputation. They will start off with trading operations but, going forward, Mexico might become a market for Russia’s LNG,” Nesterov said.